We would like to introduce Patricia Bannan, MS, RD! Patricia will be working with us through the end of the year. She will be posting healthy blogs and tips once a month. 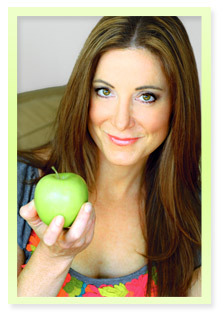 Patricia Bannan, M.S., R.D., is a Los Angeles-based registered dietitian specializing in nutrition and health communications. She develops news segments for television stations, writes articles for magazines, and serves as a consultant and spokesperson to PR agencies and industry groups nationwide. 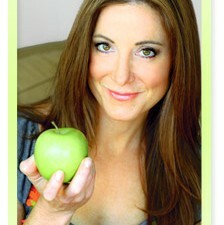 She is the author of Eat Right When Time Is Tight: 150 Slim-Down Strategies and No-Cook Food Fixes (NorLightsPress, 2010). Patricia has appeared as a guest expert on more than thirty news shows, including ABC, CBS, Fox, and NBC’s Today show. She has written articles for such leading magazines as Self and Shape and has been interviewed by numerous print media, including The New York Times, Newsday, People, Redbook, and Ladies Home Journal. The days are longer, the temperatures are hotter: summer is upon us! From barbeques to baseball games, summer is full of occasions for friends and family to come together… and enjoy great food. Watermelon, ice cream, hot dogs are all quintessential American classics, but nothing tops off a meal like a delicious seasonal fruit pie. Peaches, strawberries, boysenberries cherries—the options are endless and delicious. But before you head to the supermarket to pick up a pie, or even if you’re charged to make one from scratch, you should take a look at the ingredients first. Processed baked goods and pie ingredients, such as pre-made crusts, shortening and margarine, are rife with trans fats. These are the worst types of fats for increasing LDL (or bad) cholesterol and wreaking havoc on the heart. Recent policy changes demand that trans fats be listed under nutritional facts, but only if they exceed 0.5 grams per serving. When cooking at home, you may choose to use butter, which is also chock full of artery-clogging fat. A better option to keep the people in your life healthy (and happy! ): make your own pie with Kelapo Virgin Coconut Oil. The oil is 100% organic, all-natural, trans fat free and works great in baked goods. When baking with coconut oil, you can use a 1 to 1 replacement for butter or other oils. It’s best to heat the coconut oil first, and then measure the amount called for in the recipe. Now if you want a super cool American classic, my favorite is the Kelapo Apple Pie Smoothie. It’s packed with healthy ingredients and a decadent taste that you need not feel guilty about. Whether you choose to blend it cold or bake it warm, made with the right ingredients pies can actually be ohhhh so good!